In case of the EUR/USD currency pair there is a possibility that the price will reach a new maximum in the area of 1.3167. 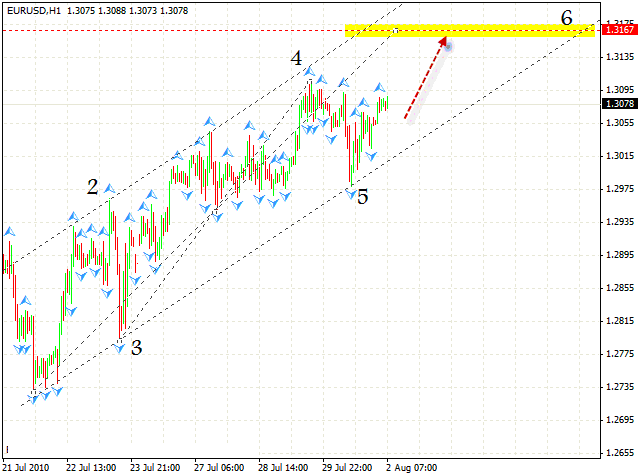 The price is moving in the rising channel, and we can see the rising pattern formed, so we will use it. 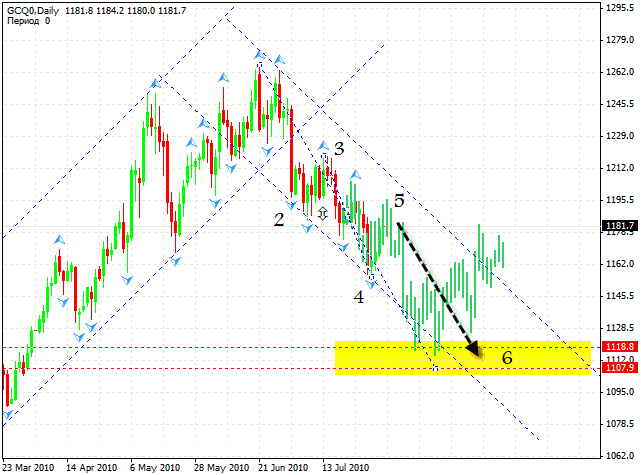 We can try to buy the pair with the stop of 1.3015 and the target of 1.3160. And let’s not forget that the rising pattern is forming at the RSI indicator. In case the support level is broken, we can expect the prices to break the level of 1.2750. The USD Index has formed “head & shoulders” reversal pattern, but still there are targets in the area of 79.78. There is a possibility that Dollar will continue to fall this week. The price is moving in the descending channel, indicating that the trend, existing at the online currency trading market, is quite strong. Franc has not formed the descending expansion pattern. 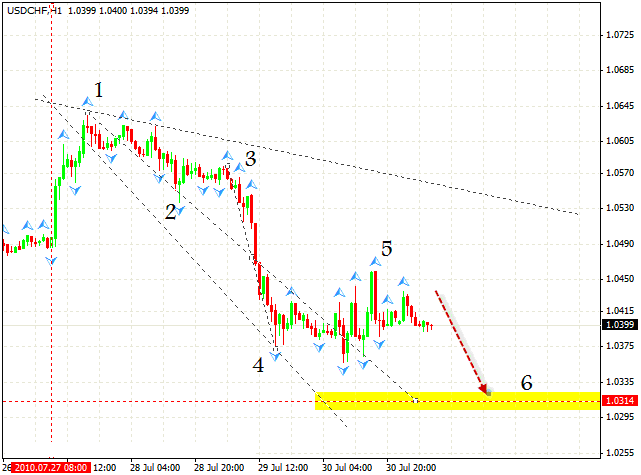 At the moment this pattern still remains in effect and we can expect the price to fall into the area of 1.0314. One can try sales with the stop behind 1.0480. 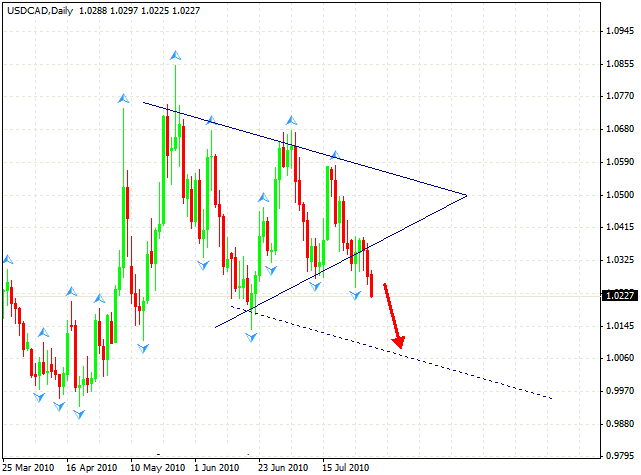 Canadian Dollar has broken the “triangle” at the daily chart. 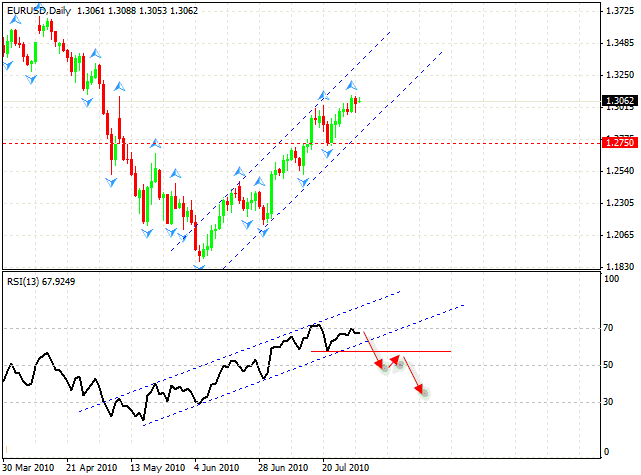 The target of the fall is now the area of 1.0060. Pay attention to the fact that the price has not reached the upper border of the “triangle”, which means that it was broken downwards. As we can see, it did happen. 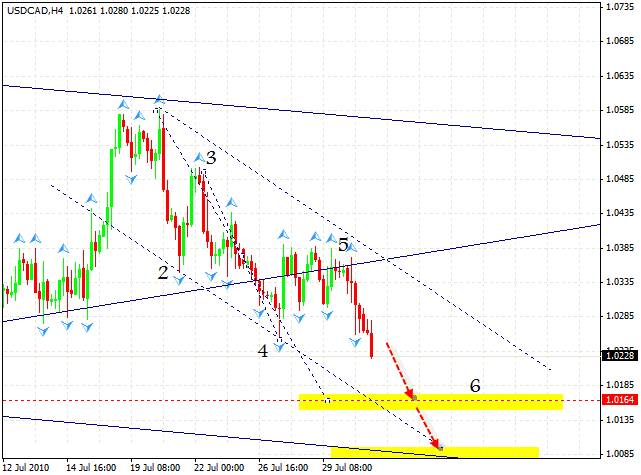 Currently we have the descending pattern with the target of 1.0164. Probably, there can be a slight correction from here, after which we can try to sell the pair again. 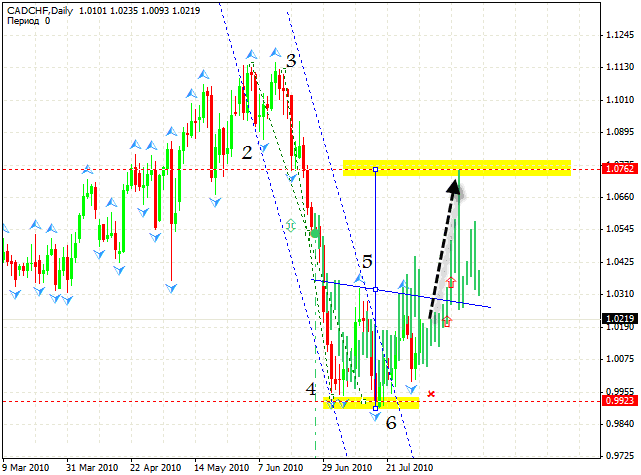 Analysis of the CAD/CHF currency can confirm that Canadian Dollar will continue to become stronger. After we had a significant descending trend and the prices reached the targets of the pattern, we can see “head & shoulders” reversal pattern forming with the target in the area of 1.0762. In this case the movement potential is 500 points. Stop must be hidden behind 1.0000. The price is moving in the descending channel and currently we have a pattern with the target in the area of 1118 – 1107. 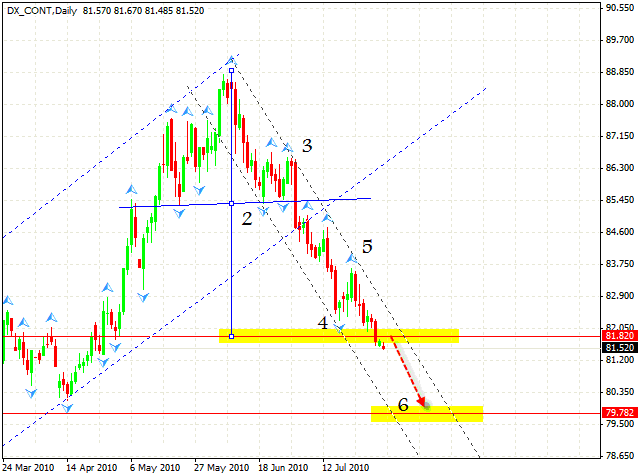 If the price is out of the channel, it will cancel the fall and we will think about the purchases.